Americans are proud to be part of a nation of immigrants, but some were reluctant to share the ballot box with more recent arrivals. Worried that they might compete with them for political power, they questioned the loyalty, political philosophies, religions, and self-interest of each new group. 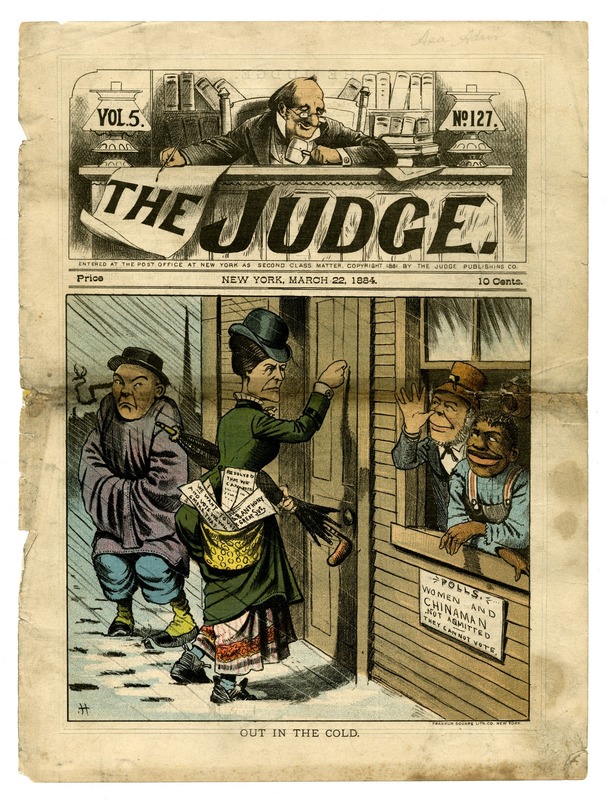 Tying voting to citizenship, combined with stringent voter eligibility requirements, lessened the gains and electoral impact of late 19th- and early 20th-century immigrant groups. New waves of immigrants furthered concern over identity politics based on race, ethnicity, and class long after individuals became American citizens. 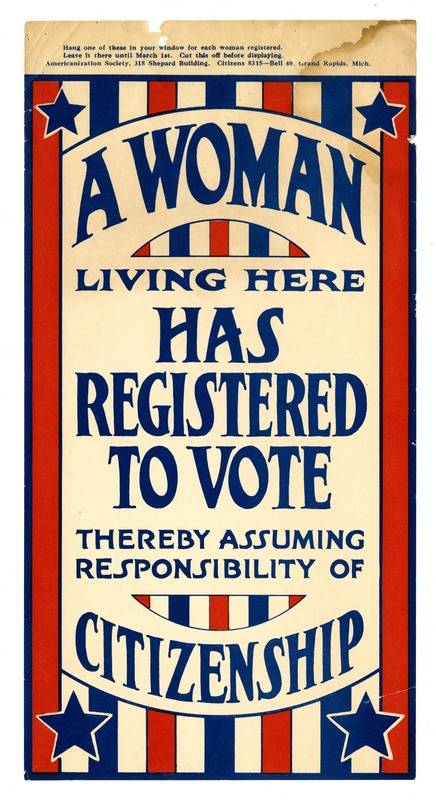 In 1919 and 1920 “get out the vote” campaigns in Grand Rapids, Michigan, aimed to register the state’s newly enfranchised women, promote voting, and encourage immigrants to become naturalized citizens so that they too could vote. Although women were eventually enfranchised in 1920, Chinese immigrants were still barred from citizenship, and the vote, until 1943. Their American-born children had been accepted as citizens and eligible voters since 1898. Drawing on the successes of the African American civil rights movement and federal legislation, Latino and Asian American community activists formed organizations to fight for civil, social, and voting rights. 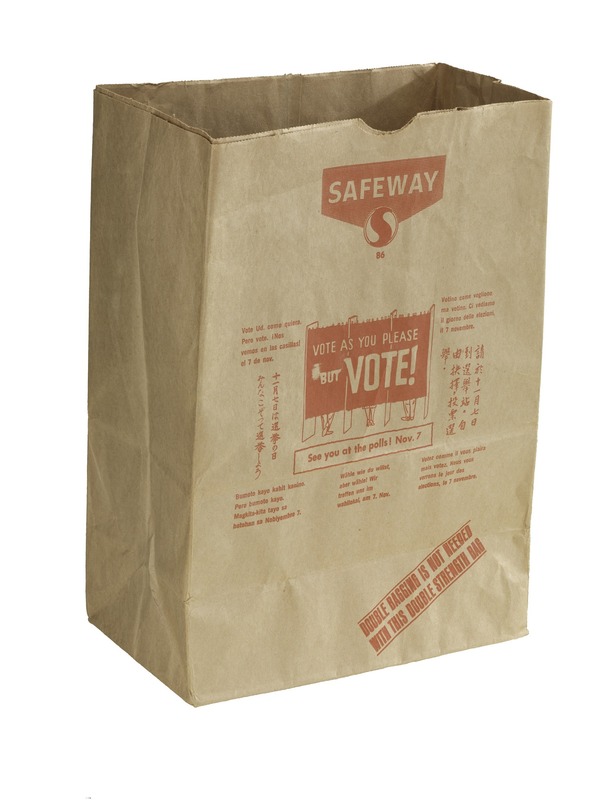 In 1976 Safeway grocery sacks used Spanish, Chinese, Japanese, Filipino, Italian, French, German, and English to encourage patrons to vote. Founded in 1947, the Community Service Organization (CSO) led voter registration drives in Los Angeles and throughout California. In the 1970s members of Chinese for Affirmative Action ran registration campaigns and demanded bilingual ballots for San Francisco voters. Since 1975, voting districts with significant populations of Native Americans, Native Alaskans, Asian Americans, and Latinos have been required to provide ballots and instructions in applicable languages. Signs like these were used in San Francisco polling places.